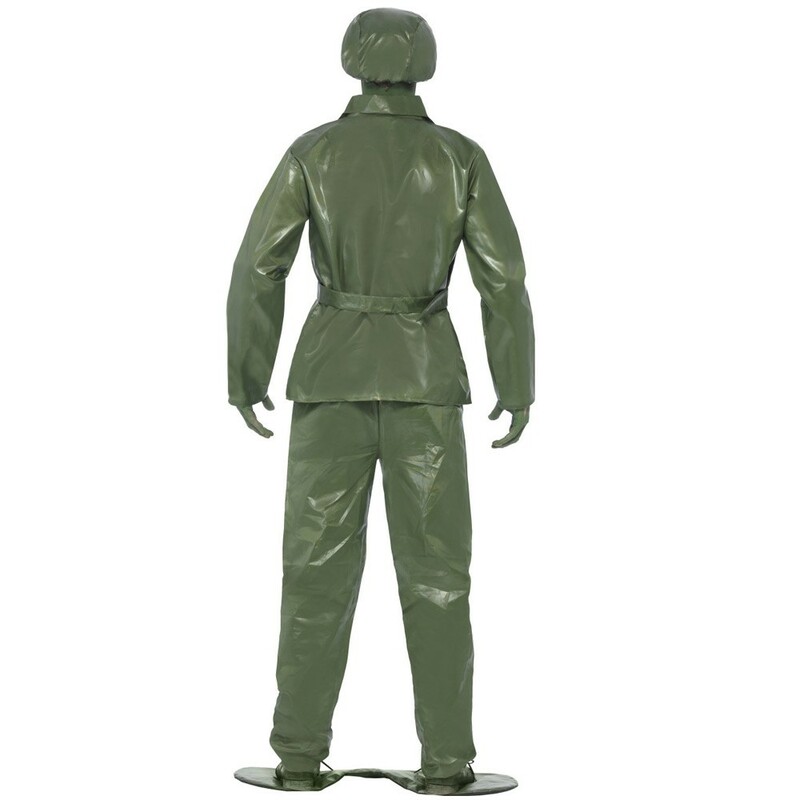 Complete green adult toy soldier costume including green hat and foot base. 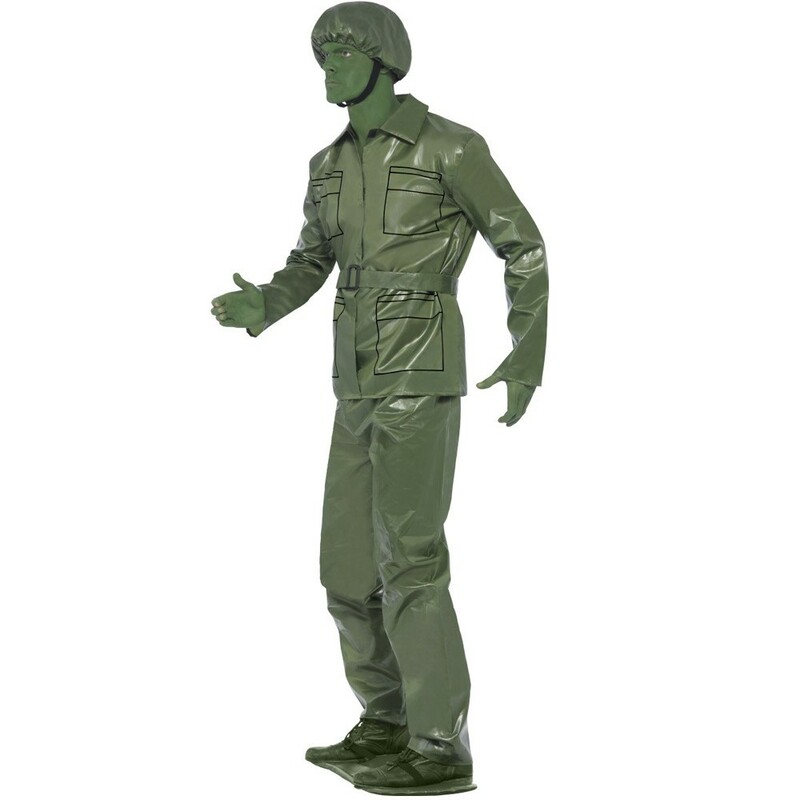 For the child in all of us, this Adult Toy Soldier Costume is perfect for a fancy dress party! Complete with green hat and foot base, Adult Toy Soldier Costume is sure to attract attention. 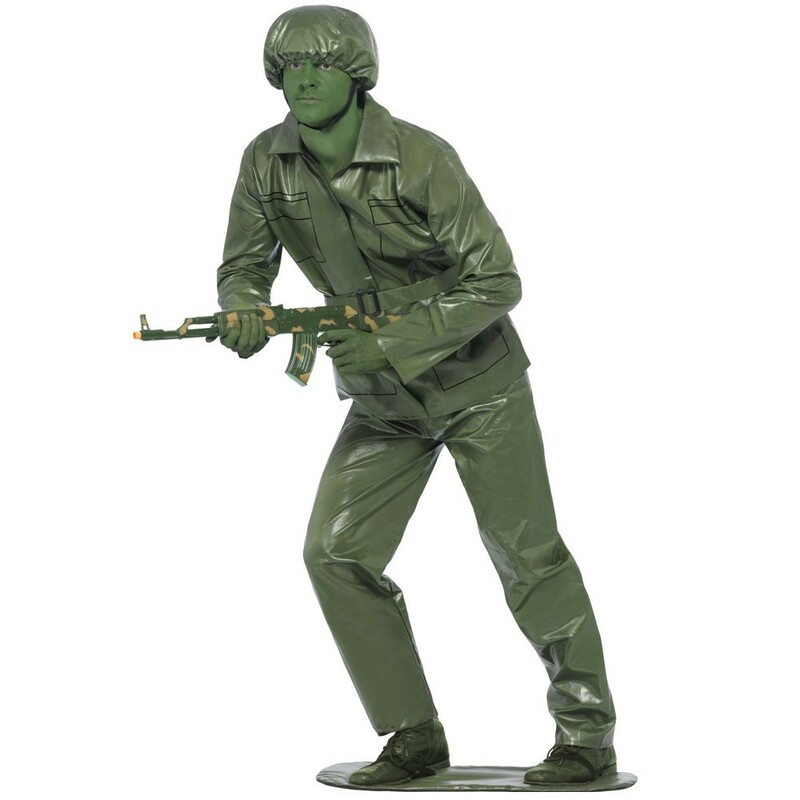 Just complete the Adult Toy Soldier Costume with green face paint and a fake gun! 1 x Green Top, 1 x Pair of Green Trousers, 1 x Green Belt, 1 x Green Hat, 1 x Green Footbase.